“She's ridin' in the middle of a pickup truck, blarin' Hank Jr., yellin', 'Turn it up!' They raised her up a lady, but there's one thing they couldn't avoid. Ladies love country boys.” - “Ladies Love Country Boys” by Trace Adkins. 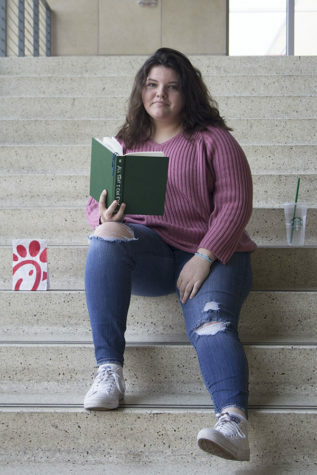 Senior Marissa Redding loves Chick-fil-A. She has a massive obsession with their chicken nuggets and waffle fries. One will often see her with a venti iced coffee from Starbucks in one hand and deluxe chicken sandwich with Colby-jack cheese. Many basic white girls enter Target with the intent of just getting a few things but leave with a whole cart full; Marissa is not a basic white girl. Her Target is Barnes & Noble. She will leave with a whole trunk full of books if she isn’t careful and buys her signature coffee from the stores Starbucks. This year, Marissa is just going to breeze through and then go to college.